Play bocce just about anywhere with this soft, no-marring indoor set. 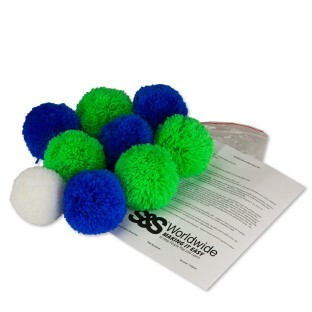 Lightweight 4"-diameter balls are made from fleece yarn, so you can play inside without worry. Balls roll,bounce like outdoor bocce balls, but won't damage floors, perfect for confined spaces. 4 blue balls, 4 green fleece balls, one pallino or jack ball, instructions and a storage bag. Set comes in a reusable ziplock-style plastic bag. Play bocce just about anywhere with this soft, no-marring indoor set. 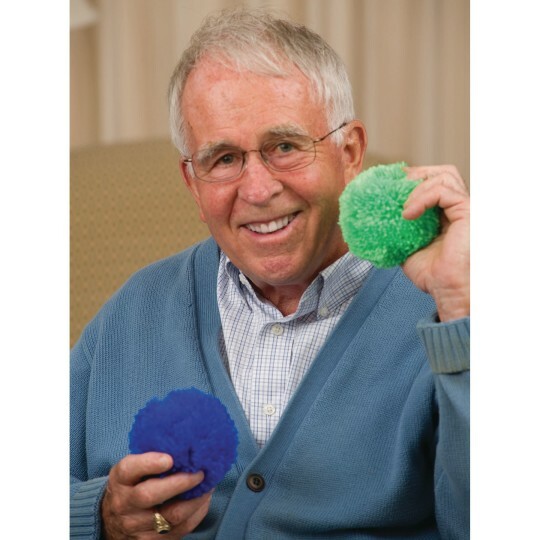 Lightweight 4"-diameter balls are made from fleece yarn, so you can play inside without worry. The unique ball design means the balls will roll and bounce off one another like an outdoor bocce ball, but won't damage floors and is perfect for confined spaces! Each set includes 4 blue balls, 4 green fleece balls, one 3"-diameter pallino or jack ball, instructions and a storage bag. The set comes in a reusable ziplock-style plastic bag. For 2 to 4 players, ages 3 to 103!